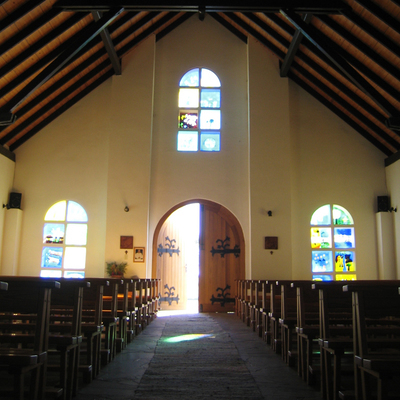 Otjikondo’s Church of the Holy Cross was designed by Reiner Stommel. 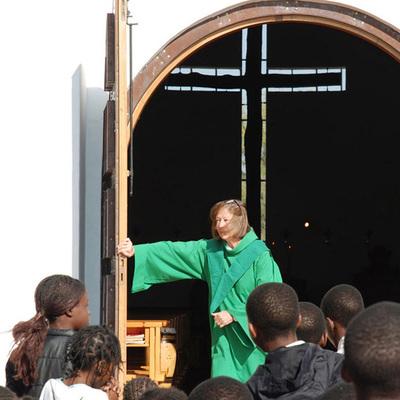 It forms the spiritual heart of the school. 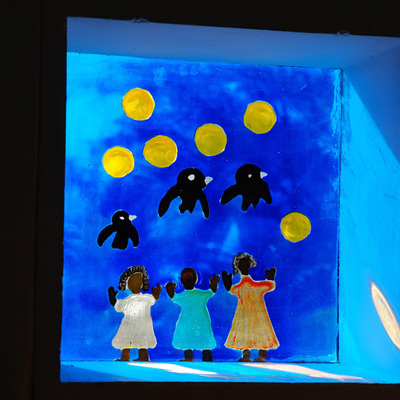 The windows are painted with biblical scenes, created by Otjikondo school children. 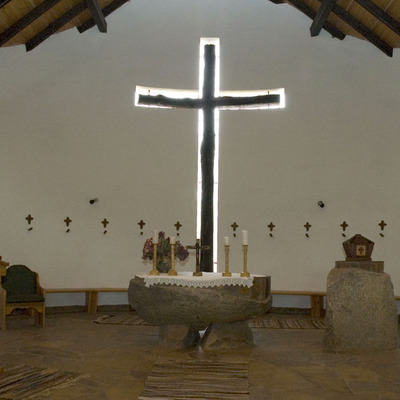 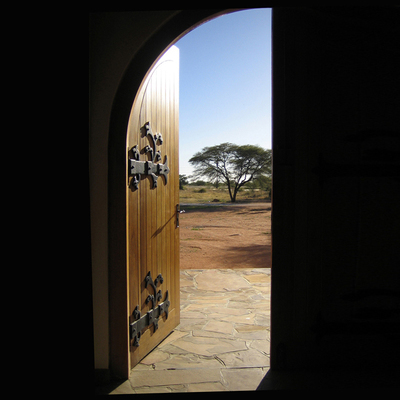 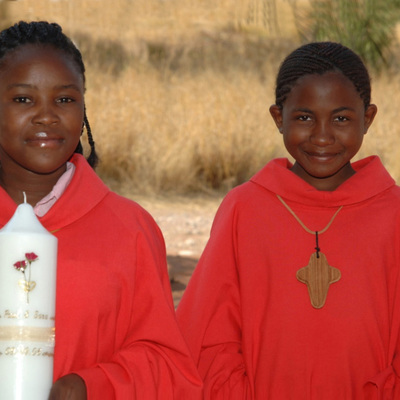 Embedded in the back wall of the church is an enormous cross, made from a locally-sourced indigenous mopane tree. 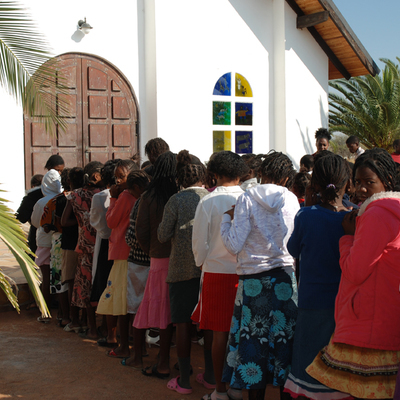 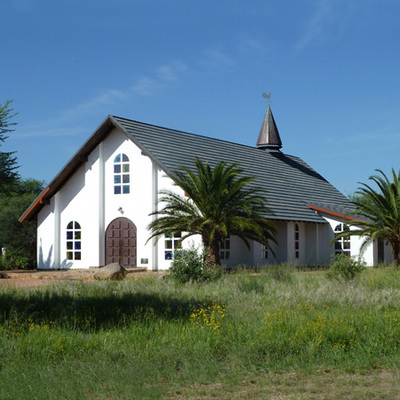 At 9.30am every Sunday, an inter-denominational church service is held, based on Catholic liturgy.